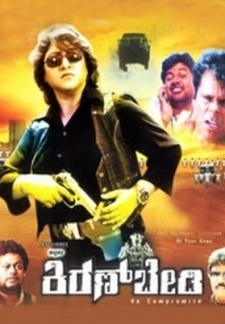 © 2018 Scratchu.com Andhra Kiran Bedi | Malashri, Sreenivasa Murthy, Rangayana Raghu, Ashish Vidyarthi - Andhra Kiran Bedi (2010) | Telugu Movie | 5.0/10 | Synopsis : A honest constable (played by Srinivasamurthy) names his daughter as Kiran Bedi and sacrifices extremely to bring her up as IPS officer. To the wish and need Kiran Bedi (Malashri) shows exemplary courage and intelligence and she is a nightmare for anti social elements like Bhoopathy, Mobile Narasimha, DSouza, Naga, Vicky, Muni and others who are controlling the government...... Watch Online!! !